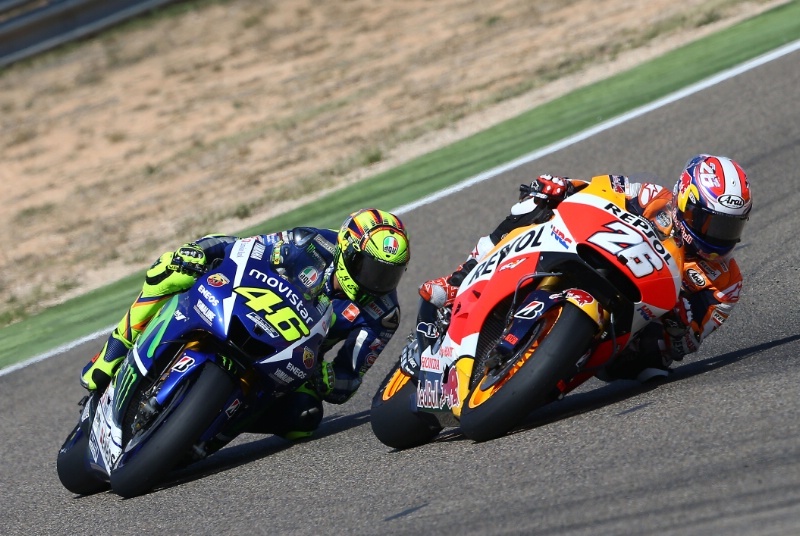 DANI Pedrosa has hit out against the way Valentino Rossi defended his position during the Aragon MotoGP, claiming he was nearly forced off the track at 300km/h. Pedrosa was attacking Rossi for fourth place on lap 15 and managed to get ahead of the Italian on the main straight. “I was on the white line and my handlebar was that [indicates a small gap between finger and thumb] from his handlebar, so I don’t see this is a fair move. “You can go to the left but to go to the line, and make the other guy go off the track at 300km/h, it’s not the best thing. Pedrosa completed the race with the fastest lap and strong pace in the final stages, finishing just eight tenths behind teammate Marc Marquez in second place.the Yamaha and the edge of the track, with Rossi moving to the inside. Rossi shrugged off Pedrosa’s complaints over his defending, dismissing the Spaniard’s argument. 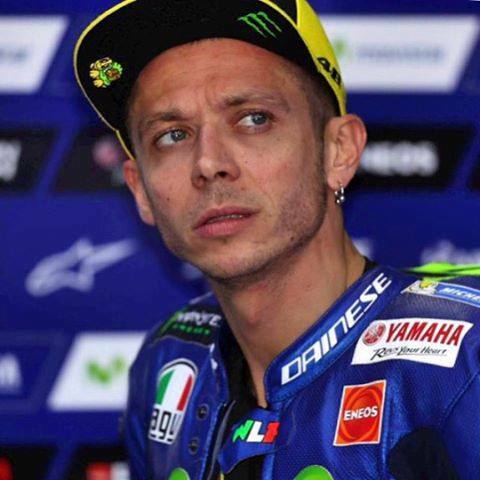 “If he’s not happy, he has to race alone,” Rossi said. “This is what I think. “Because everybody did the same to me when I want to overtake, especially on the last lap. But sincerely, exit of [Turn] 14, you always go to the left. Rossi would finish fifth after spending much of the race fighting among the top three, capping a remarkable comeback from breaking both bones in his right leg in a training crash just 24 days ago.